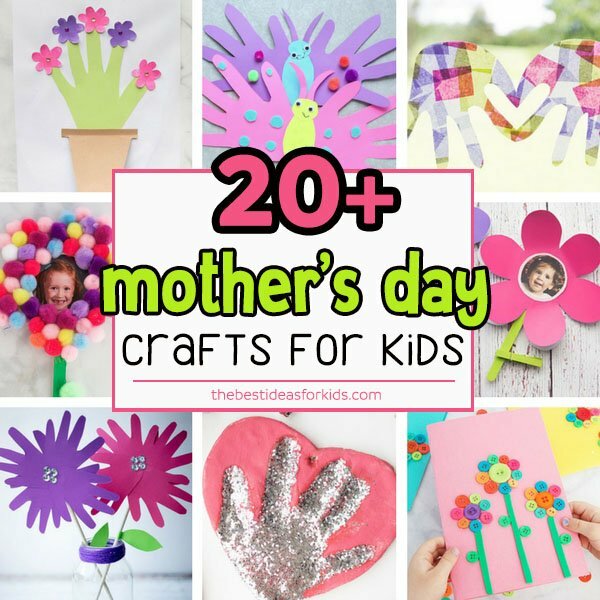 We love Mother’s Day crafts that are keepsakes Mom or Grandma will treasure and be able to enjoy on a daily basis. 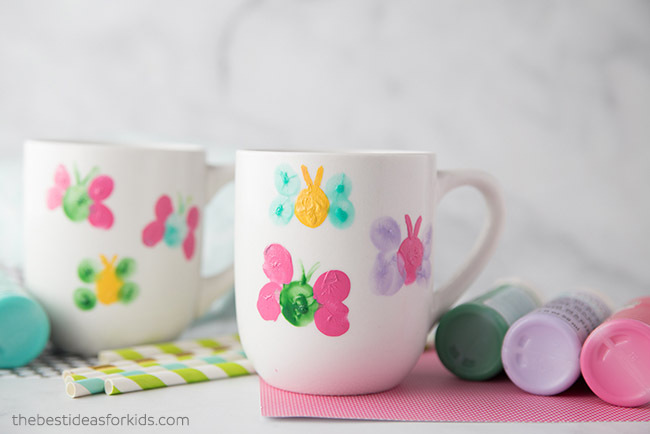 These thumbprint butterfly mugs are the perfect gift for your little one to create! 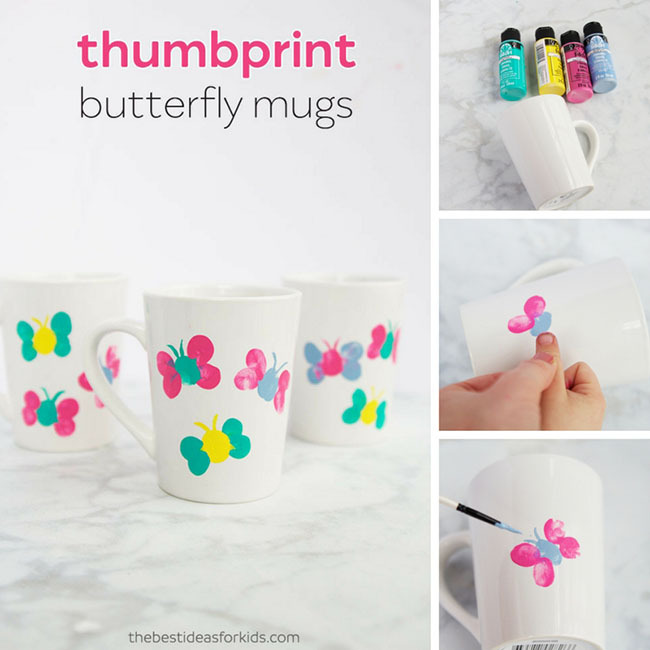 They are such a sweet keepsake and thumbprints easily make the cutest little butterflies you’ve ever seen! 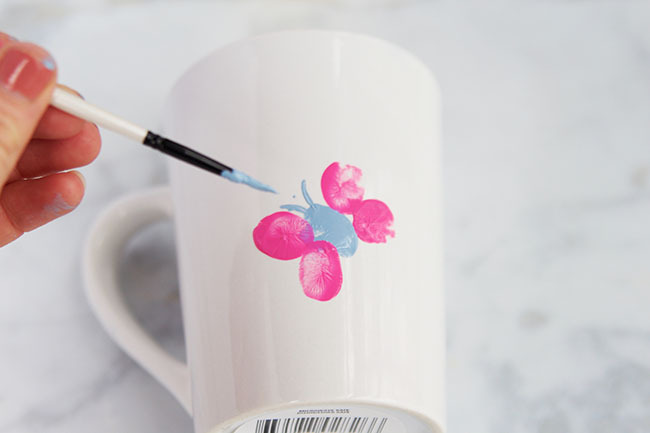 You won’t believe how easy this mug painting tutorial is and it makes a great DIY gift. 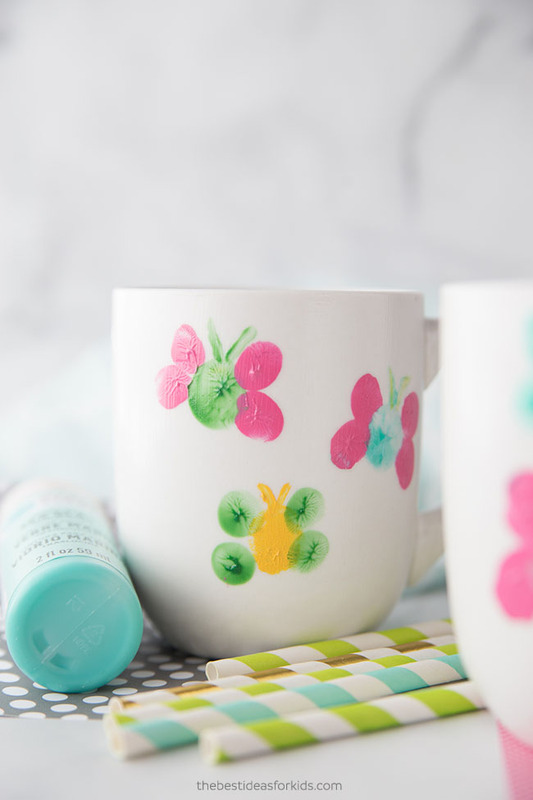 All you need are a few supplies to make these thumbprint butterfly mugs. 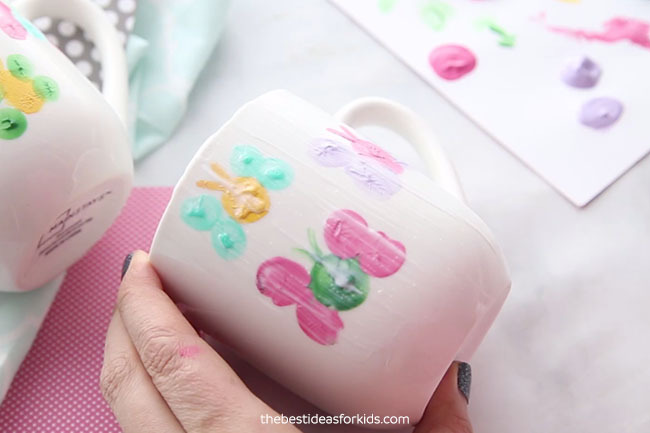 You can find plain white mugs at the dollar store, making this craft very frugal to make! 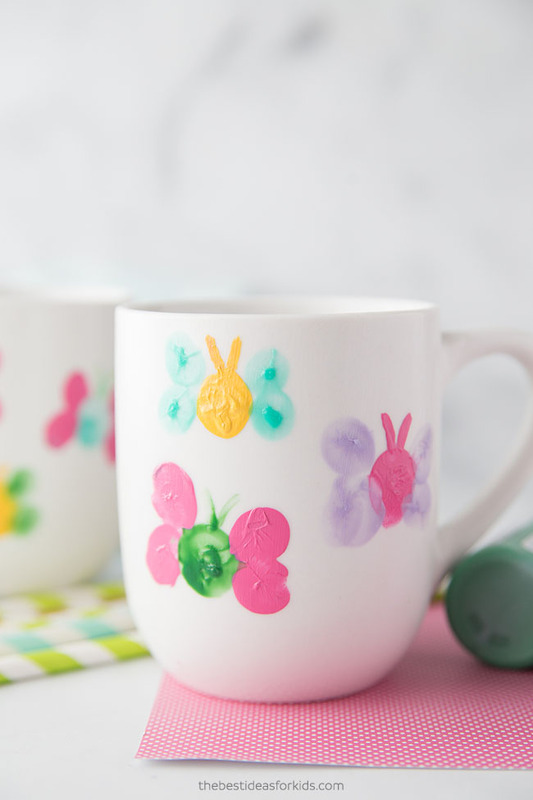 These mugs would also be great to give for Mother’s Day or for a teacher gift. Check the label for the type of acrylic paint that it can be used on glass or ceramic surfaces. 1. 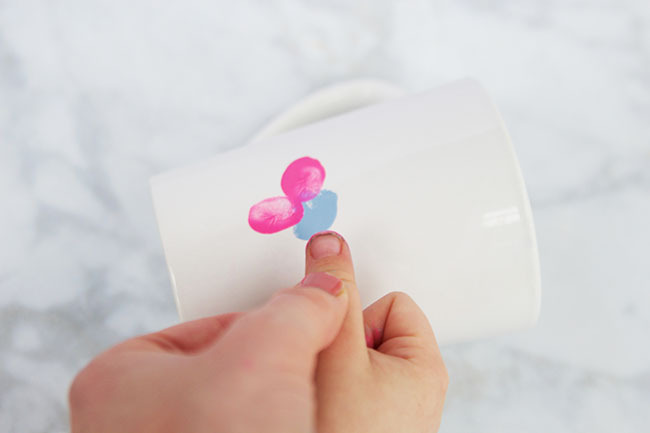 Dip your child’s thumb into the paint and stamp it once or twice on a scrap piece of paper to ensure that the paint is not too thick. 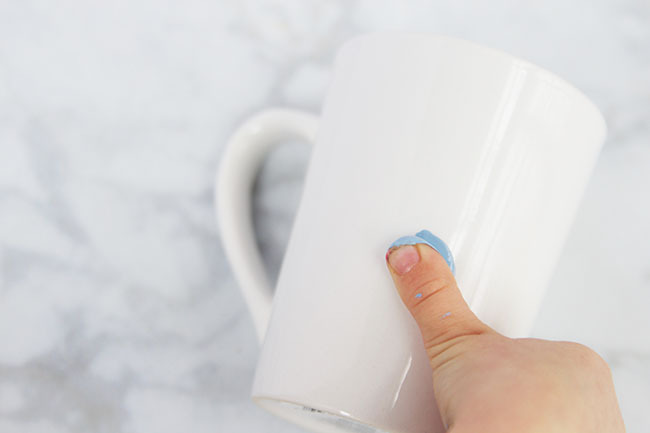 Carefully stamp it on the mug, being sure to stay 1-2 inches away from the top. 2. 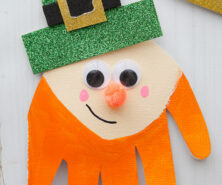 Clean off the child’s thumb and dip it into another color and stamp the thumb twice on either side of the first thumbprint to create the wings. 3. With a very small paint brush, paint on some lines to create the antennae. 4. 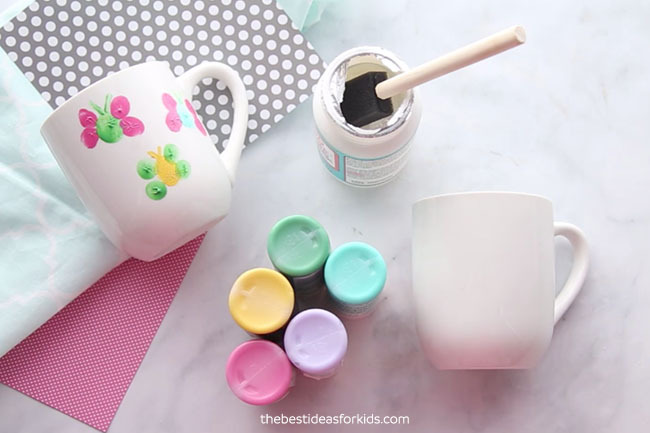 Allow the mug to dry or bake it at a low temperature according to the enamel acrylic paint directions and your mug is ready to use! 5. For extra protection, use this sealer which will help keep the paint from coming off. 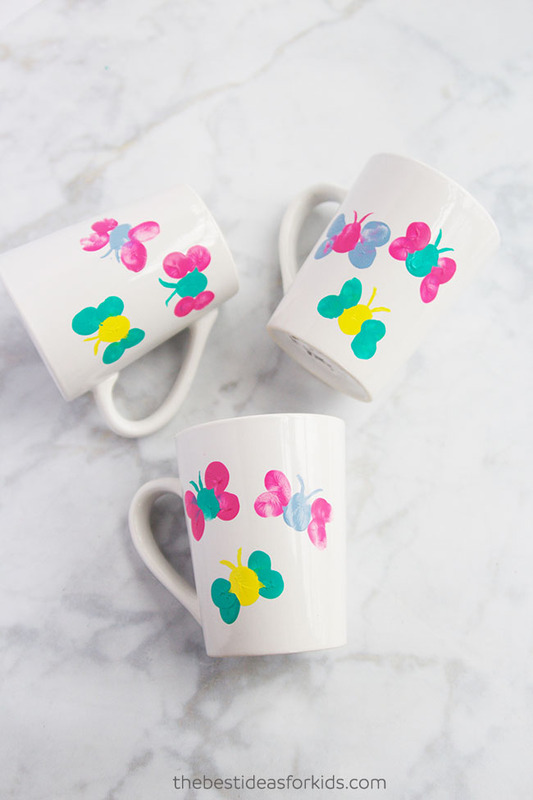 It’s safe for top rack dishwasher use however, to be extra careful we would recommend hand washing these mugs (you wouldn’t want to wash away one of those cute butterflies!). Allow the sealer to dry completely before using. 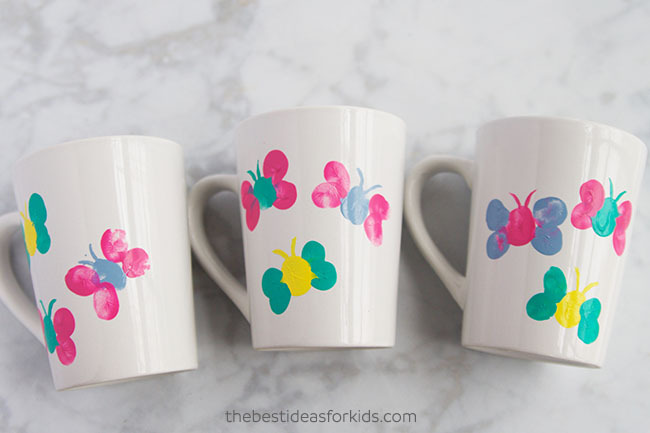 These thumbprint butterfly mugs are adorable for kids to make. Fill the mug with candy or a gift card and it would make such a special keepsake gift for that special Mom or Dad in your child’s life! 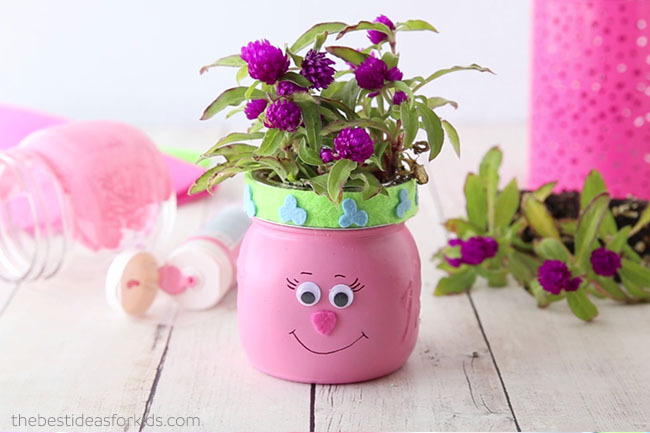 And if you’re looking for another cute gift idea for Mom, these Trolls Mason Jars would be perfect to give for Mother’s Day! 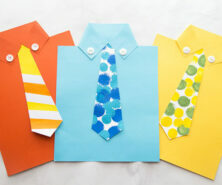 My kindergarten class made these this year. 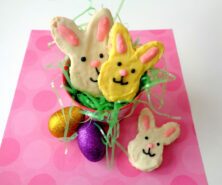 So I should baked them first before I modge podge them?